You are on Hospital Parking (Kingfisher Children's Unit). Skip to the next section. 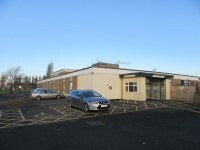 The car park is located in front of the unit. 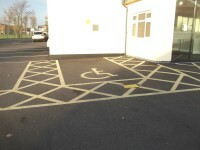 There is/are 3 designated Blue Badge parking bay(s) within the hospital car park. 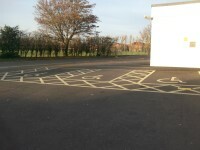 The dimensions of the designated Blue Badge parking bay(s) surveyed are 355cm x 615cm (11ft 8in x 20ft 2in). The nearest designated Blue Badge parking bay is approximately 3m (3yd 10in) from the main entrance. 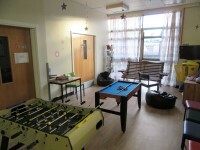 You are on Outside Access (Kingfisher Children's Unit). Skip to the next section. 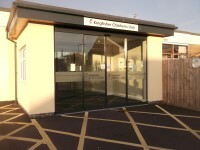 This information is for the entrance located at the side of the Kingfisher Children's Unit building. The width of the door opening is 138cm. 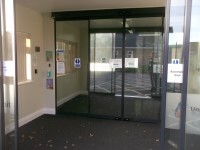 The unit reception is located to the left on entering the unit. 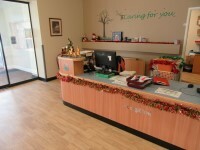 The reception area/desk is approximately 3m (3yd 10in) from the unit entrance. 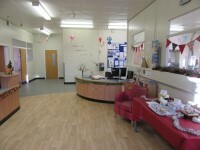 The waiting room / area is approximately 14m from the unit entrance. 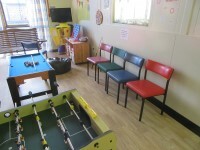 There is a play area or toys/books for a child to play with. 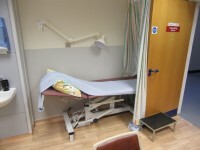 You are on Consultation / Treatment Room (Consultation Room). Skip to the next section. 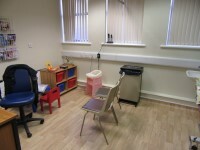 There is / are 12 consultation / treatment room(s) available. The name / number of the room surveyed was; Consultation Room. 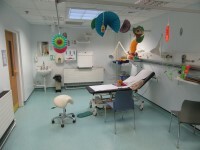 You are on Consultation / Treatment Room (Clinical Room). Skip to the next section. The name / number of the room surveyed was; Clinical Room. 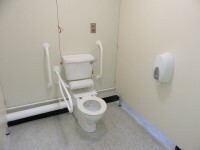 This accessible toilet is located within the standard toilets. 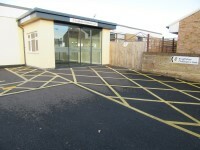 This accessible toilet is approximately 13m (14yd 8in) from the unit entrance. 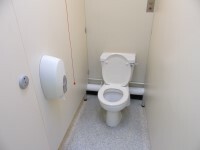 The dimensions of the accessible toilet are 178cm x 207cm (5ft 10in x 6ft 9in). 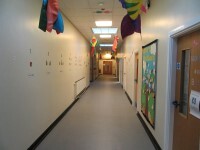 The shared toilets that were surveyed are located past reception, to the right and then on the left of the corridor. 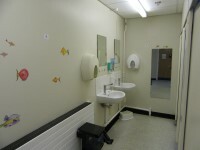 The shared toilet(s) is/are approximately 13m (14yd 8in) from the unit entrance. 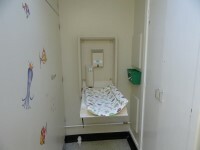 Baby change facilities are located in the standard toilets.